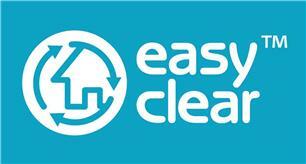 Easyclear Ltd - Removals/Storage, Rubbish/Waste/Clearance based in Wallington, Greater London. House clearance specialist Easyclear is a family business with a wealth of experience rooted in thirty-five years of history. We are the first choice for your house clearance needs. Easyclear are also Licensed Waste Carriers. We understand that every customer has different requirements and expectations - we will tailor our services to your needs. If you have a requirement: house clearance, antiques or top quality used furniture to sell, rubbish for clearance or require a probate valuation look no further than Easyclear. One call clears it all! We cover London, Surrey and all the Home Counties. EasyClear has bases in London, Surrey and all the Home Counties.